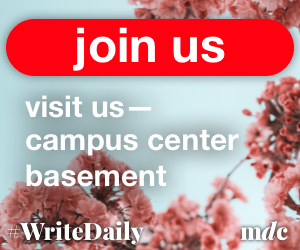 On a night where the Massachusetts men’s basketball team struggled to find consistency on the offense end, Donte Clark was once again forced to take matters into his own hands against Rider. 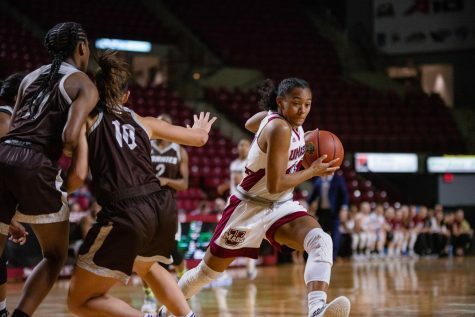 UMass (9-3) lacked discipline and consistency down the stretch for most of Thursday night’s contest, but a late Minutemen run combined with Clark’s performance was enough to put them over the hump against the streaking Broncos (8-4). Clark finished with 27 points, eight rebounds, four assists and a pair of steals on the same night he scored his 1,000th career point. 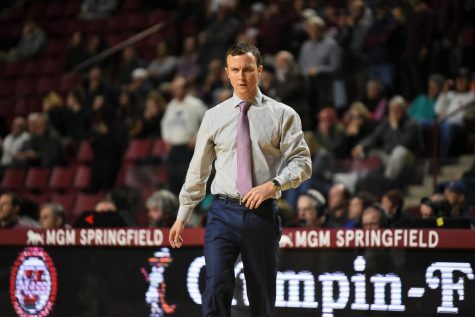 The Minutemen closed the game on a 16-3 run with Rider’s last field goal coming with six minutes, three seconds left on the clock. 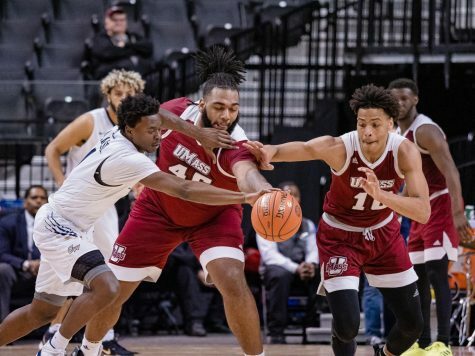 It was another “growing pains” experience for the 2,547 in attendance at Mullins Center, but it was enough for UMass to secure a 78-67 win in the de facto championship game of the Gotham Classic. 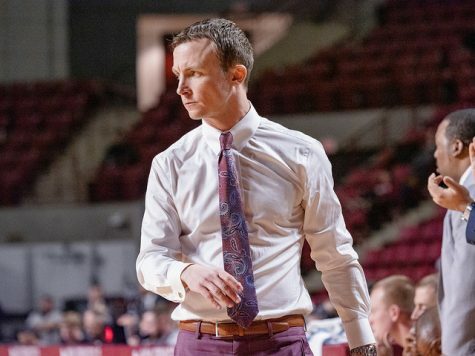 To Minutemen coach Derek Kellogg, it wasn’t only Clark’s scoring that put them in a position to win. Clark’s 1,000th point came on an emphatic fast-break dunk set up on a behind-the-back bounce pass from Luwane Pipkins to tie the game at 49 with 14:28 remaining. 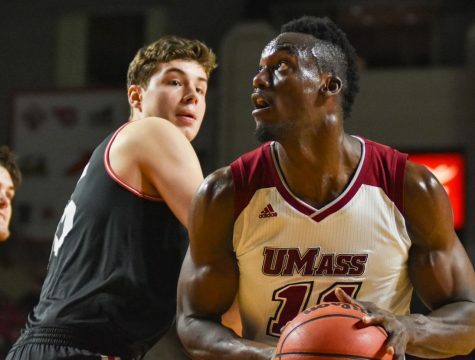 He is now the 50th player in UMass’ history to reach the 1K scoring mark. 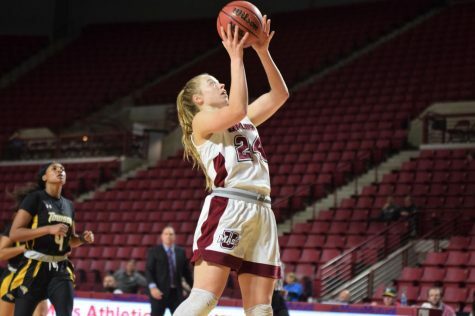 Points number 1,002 and 1,003 for Clark jump-started UMass’ late surge, answering a 9-0 Rider run after the Minutemen had taken a four-point lead. Zach Lewis’ corner 3-pointer with 3:09 remaining put the Broncos away for good. 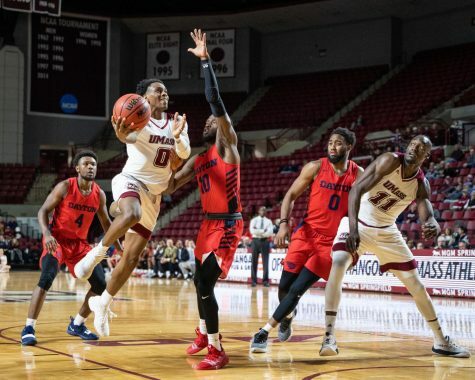 Rider entered Thursday riding a five-game winning streak, however missed its final 10 shot attempts after Kahlil Thomas’ jumper at the 6:03 mark in the second half. 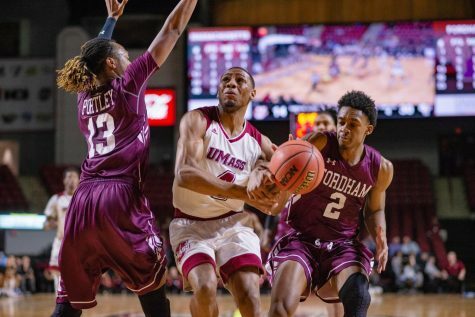 The Broncos led for 23:17 if the game, compared to UMass leading for just 10:25. 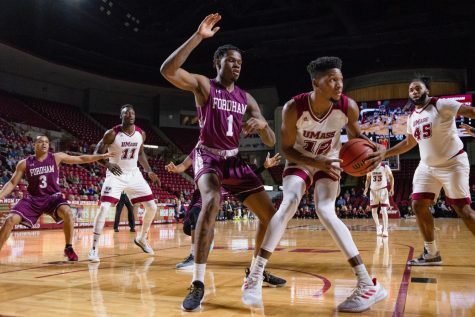 Outside of Clark’s 27, Rashaan Holloway was the only other Minuteman in double figures as he finished with 16 points and five rebounds on 6-for-7 shooting. Holloway, however, played most of the first half in foul trouble after he picked up two quick ones in the first 2:13. Guard Jordan Stevie paced the balanced Bronco scoring attack with 15 points while also adding eight assistants and five rebounds. Norville Carey (12 points) and Xavier Lundy (10) each contributed with double-digits. 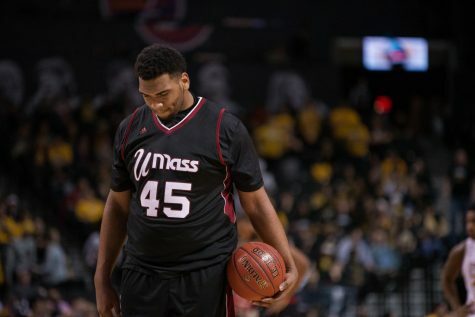 Khalil Thomas added nine points and nine rebounds and controlled the paint with UMass’ bigs in foul trouble. 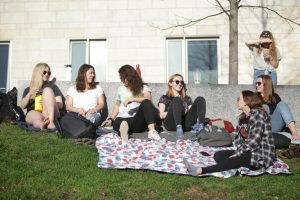 After the holiday break, the Minutemen travel to Georgia State Dec. 28 in their last non-conference game before Atlantic 10 play starts Dec. 30 against St. Bonaventure.